The Wonder Festival 2010 [Summer] event, or WF2010S for short, was held today in Japan. 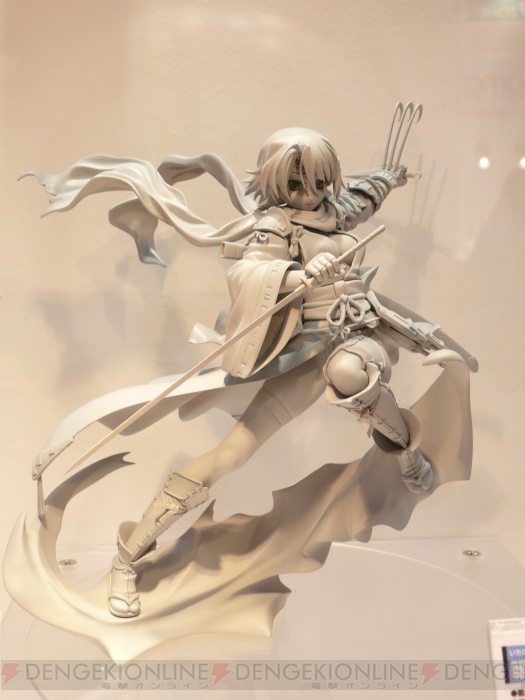 Like the Winter session held in February, this event represents a major trade show for the figure hobby industry and, as such, showcased many new products from the various manufacturers. What follows is a selection of figures shown off at the event that I personally found interesting or notable. For more complete list of new products on display at the event, scroll down to the bottom to find a list of other sites covering the event. 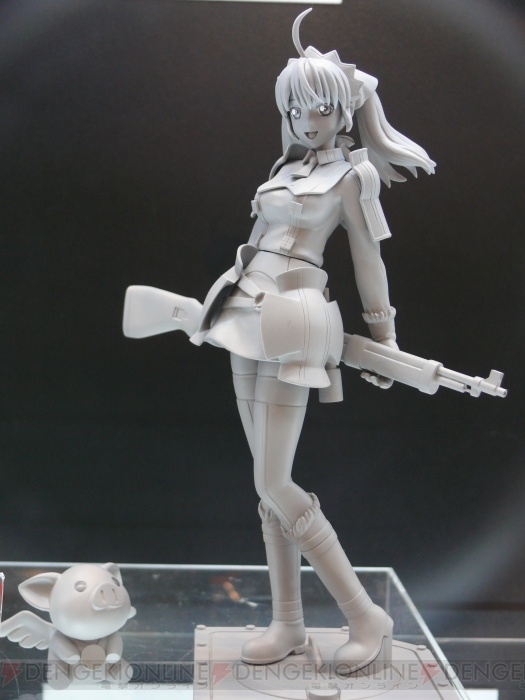 Images from Dengeki Online, Hobby Stock, Akiba Hobby, moeyo, and foo-bar-baz blogs. 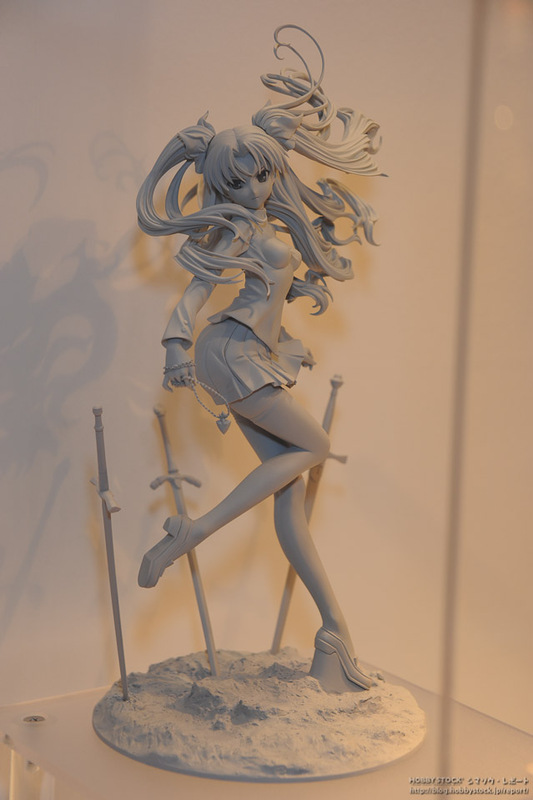 Alter’s certainly not going to be the first to market with a Dizzy figure, but I think this one is probably the best that I’ve seen. I like that they’re going full detail with the anthropomorphism of her wings, which is one of the key aspects of her character. I also hope that support peg is only for the prototype version. I’d probably buy this. 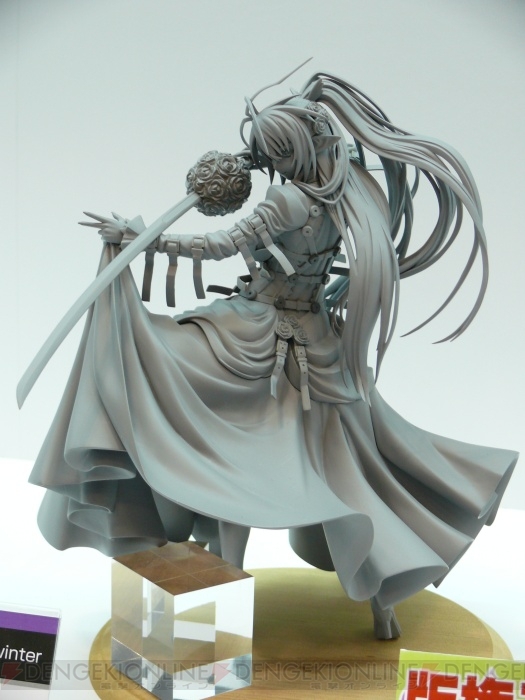 Can we get a Baiken figure now? 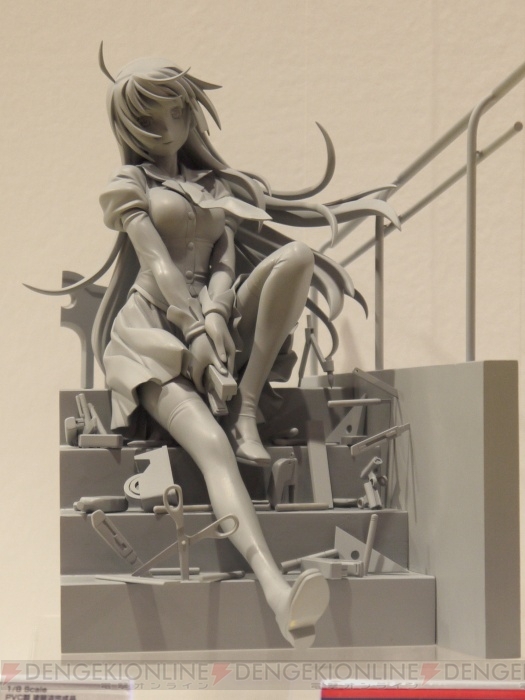 Perhaps having to pass on GSC’s Hitagi won’t be such a bad thing? I think I may actually like Alter’s version better. I even have the promo poster that this figure is based on. Hope they don’t skimp on the base, as it’s obviously a key part of this figure design. This figure caught my eye despite the fact that the character and manufacturer are largely unknown to me. I think the appeal for me lies in the colors and the kitsune/cute factor. So, is CM’s any good? Apparently, there are a lot more characters in the Black Rock Shooter universe than I realized. 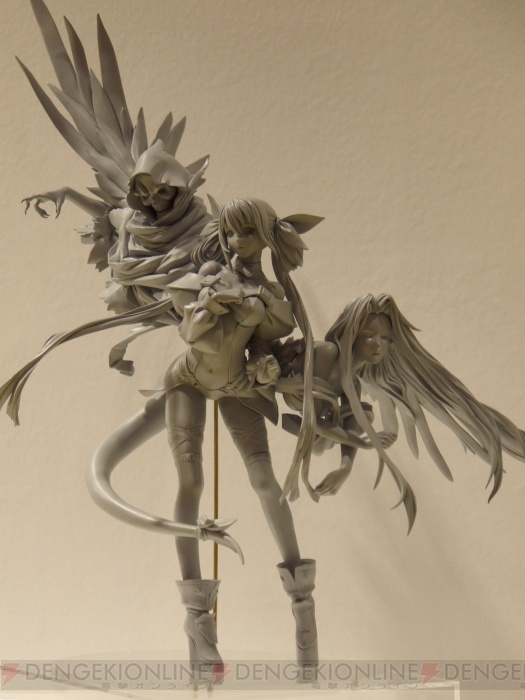 While I found GSC’s Dead Master figure largely unappealing, I quite like this Black Gold Saw figure and I would probably order her without much hesitation, despite some obvious character design similarities to Black Rock Shooter. Those claws look pretty wicked. I actually thought this character was from the Hyakka Ryoran series prior to doing the research for this post. Ichiban Ushiro no Dai Maō is also a Hobby Japan property, though, so I guess I wasn’t that far off. Anyhow, Junko’s looking pretty cool and sporting some sweet ninja gear in this figure. I’m a bit disappointed to see that GSC’s large-scale Rin hasn’t progressed beyond the unpainted prototype stage at this point, as she’s still at the top of my list of figures I’m waiting for, but I guess I can take some solace in the fact that her display base appears to have been further developed since the last previews. This was a bit of a pleasant surprise. 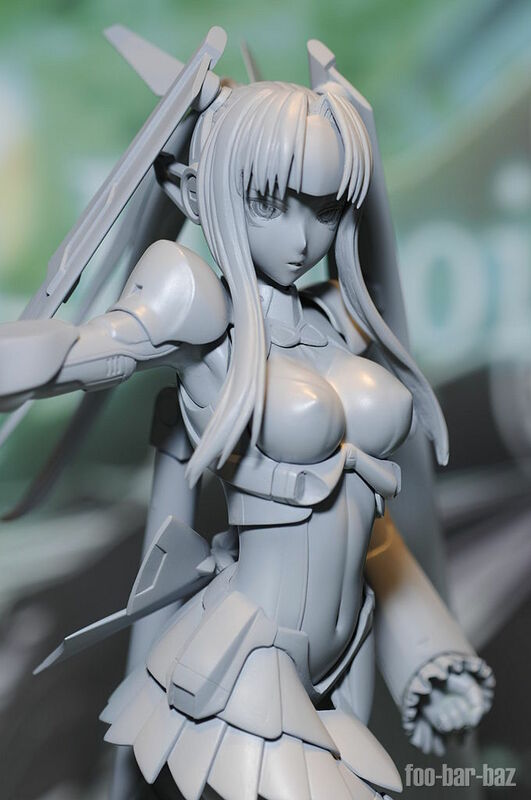 In my preview write-up for Alter’s Selvaria, I had voiced a desire to see less Selvaria and more Alicia, but I really didn’t expect to see a new Alicia figure surface so soon, if ever. 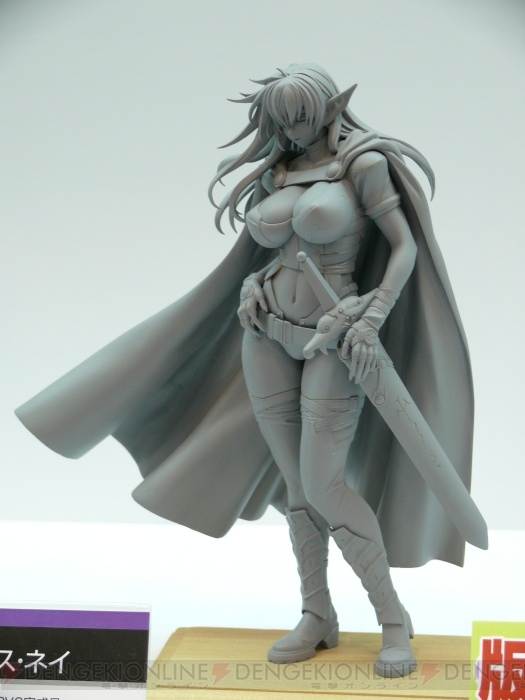 I’m a bit disappointed that Kotobukiya is the one doing this figure, but the prototype looks decent so maybe they’ll come through on this one. Does Kotobukiya have a lock on the Xecty figure market? It seems like they’ve pushed out three different Xecty figures in the first half of this year and the only other Xecty I can think of is Max Factory’s swimsuit version, which wasn’t exactly the treatment I was looking for. With outfits like these, who wants swimsuit figures? I’m not sure if I should call her “chunky” or just “healthy”, but I do find something appealing in the curves found on Orchid Seed’s Arshes as compared to the waifish girls that usually find their way into figure form. The fantasy adventurer attire doesn’t hurt, either. Probably not something I’d pick up, but interesting all the same. Hmm… another conundrum. Ignis is an eroge character who’d make for a great figure, but I really like her normal outfit more than the dress seen here. The pose isn’t bad, though. I guess I’ll have to reserve judgement until I see the final version. 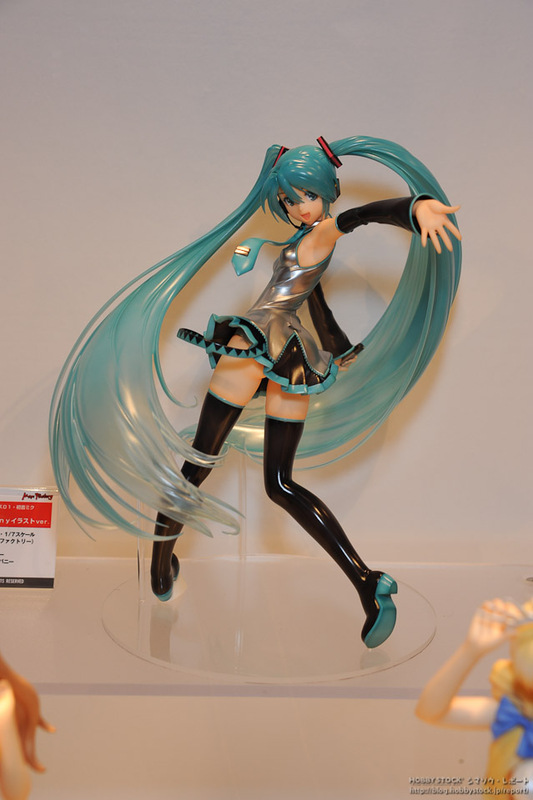 This entry was posted in Events, Figures and tagged WF2010S, Wonder Festival, Wonder Festival 2010 (Summer). Bookmark the permalink.